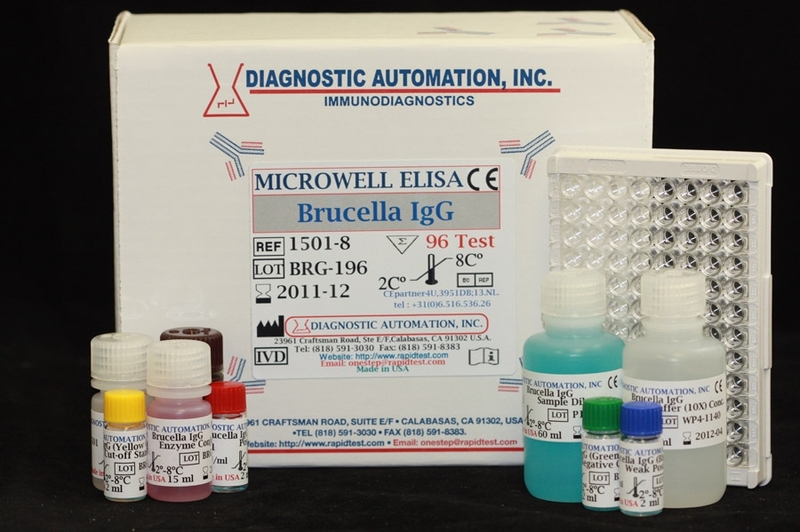 Brucella IgG ELISA kit | CE-GMP | 818-591 3030-USA. 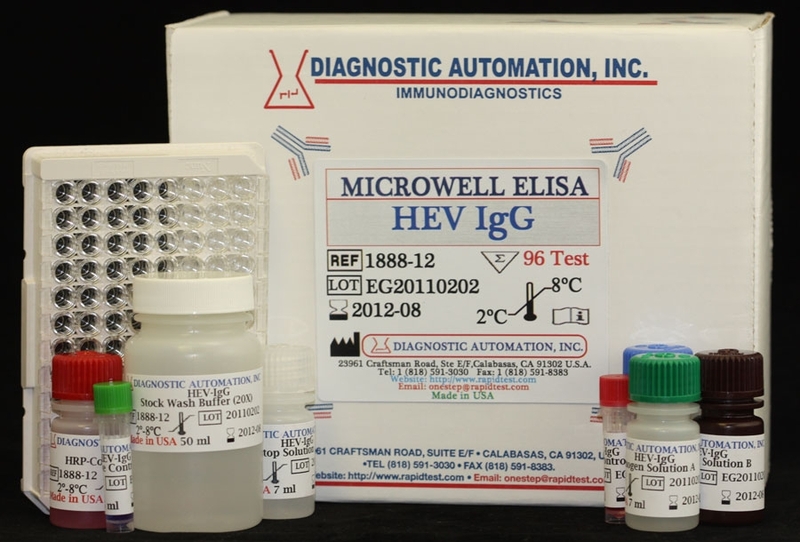 The Diagnostic Automation Inc. Brucella IgG Antibody ELISA Test Kit has been designed for the the detection and the quantitative determination of specific IgG antibodies against Brucella in serum and plasma. 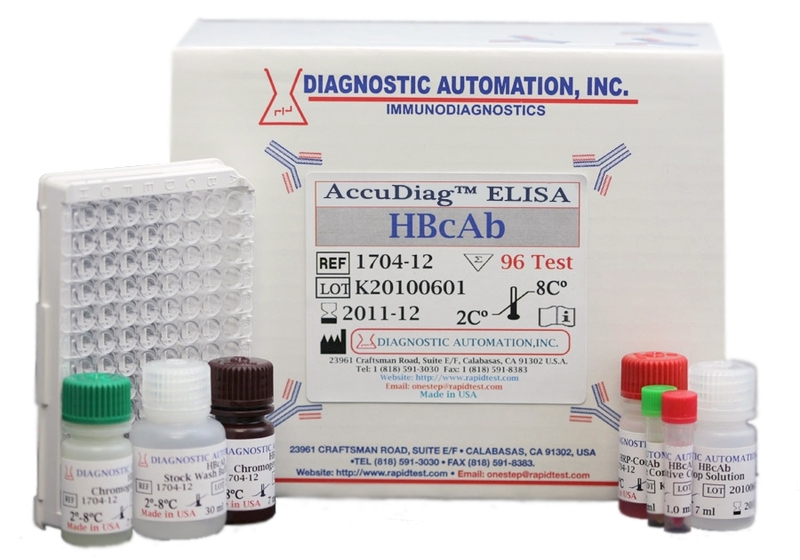 Further applications in other body fluids are possible and can be requested from the Technical Service of Diagnostic Automation Inc. 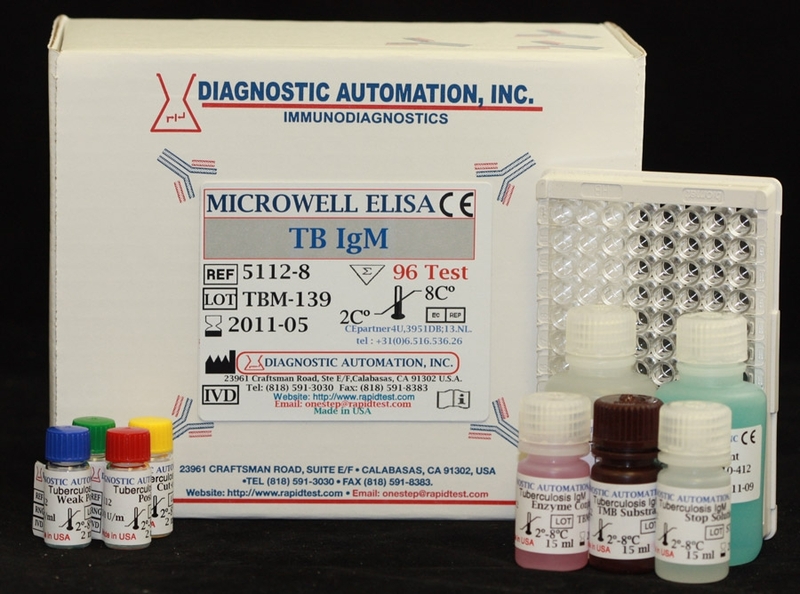 The Diagnostic Automation Inc. Brucella IgG antibody test kit is based on the principle of the enzyme immunoassay (EIA). Brucella antigen is bound on the surface of the microtiter strips. 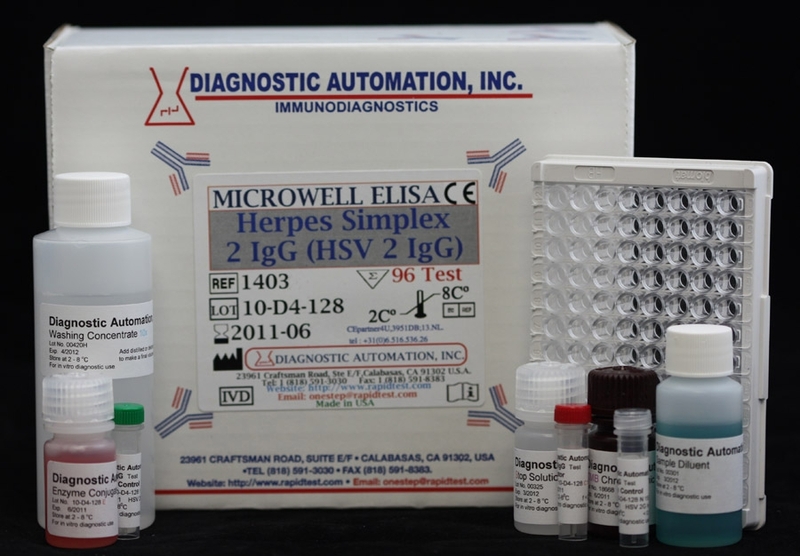 Diluted patient serum or ready-to-use standards are pipetted into the wells of the microtiter plate. A binding between the IgA antibodies of the serum and the immobilized Brucella antigen takes place.